Love holds no bounds they say, and for people who are part of the LGBT community, your first love is what sometimes define you and what you want in a partner. When things don’t work out, that love is what teaches you lessons in love and life. 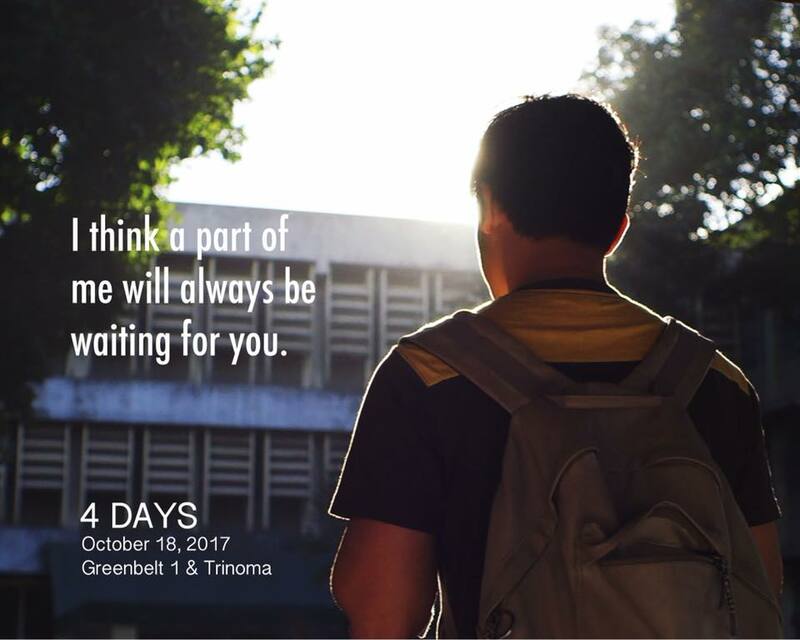 Most of us want a love that lasts, a love that will be nourished and cherished, and is what’s in store in Adolfo Alix Jr’s “4 Days” starring Mikoy Morales and Sebastian Castro. Set inside the spacious and beautiful grounds of the University of the Philippines Diliman, it tells the story of Mark (Mikoy Morales) who goes about in his first day of college inside UP, where he meets his roommate Derek (Sebastian Castro) and as the two go through four years of college together, with every valentine’s day they try to get through their feelings for each other while staying inside the closet. For those who have had or at least tried relationships from within the closet, this movie is sure to hit you to the bones with feels. “Kinabukasan” to screen alongside “4 Days” - Those who will watch “4 Days” will also get the chance to see “Kinabukasan” a short film that won Best Short Film in the 2015 Gawad Urian, starring Superstar Nora Aunor and Alden Richards, filmed in 2014, it was part of the short film category in the 2014 Cinema One Originals and at the 2015 Hanoi International Film Festival. The story begins with Ernest (Nora Aunor) who after losing his lover, meets Niles, the son of his lover who has come to collect his things. What might seem as a simple encounter gets filled with tension, causing the two to discover what lies underneath the sadness of losing the one you love the most. 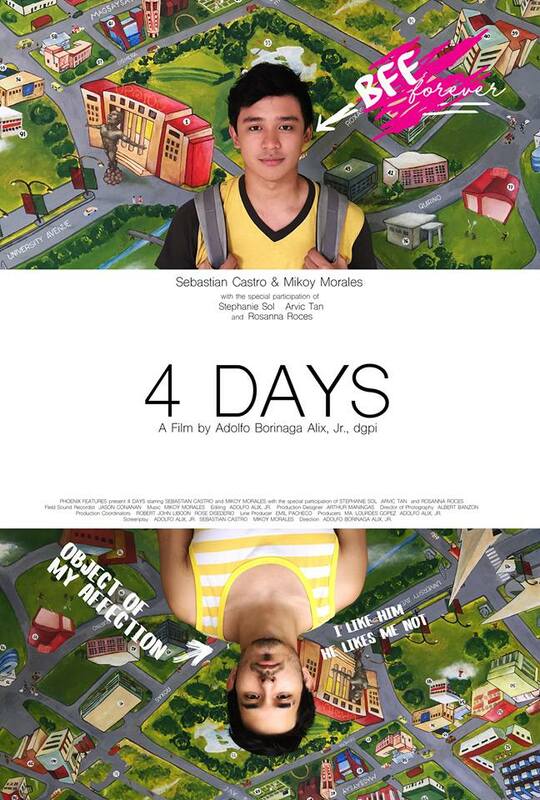 An Ayala Malls Cinemas’ exclusive, “4 Days” will open on October 18 in Greenbelt 1 and Trinoma Cinemas.